$4 trillion. That’s the projected global online retail sales by 2020, and double the projected global online retail sales for 2017. Those are huge amounts of money in absolute terms as well as a large relative increase. What’s also riding this growing trend is fraud-related loss, including chargebacks. Chargebacks are charges debited against a vendor’s account, after customers dispute a charge on their credit card bill and their credit card issuer finds in their favor. Merchant error: not cancelling a transaction when the customer requests one, or billing an incorrect amount. Unauthorized card usage: kids using their parents’ card. Outright fraud: stolen credit card info used. Friendly fraud: cardholder disputes purchase due to goods or services not meeting expectations. These are cases when the cardholder disputes the purchase even though they authorized and received the purchase. Other examples include instances when the cardholder doesn’t recognize the name on the statement for the charge, or they forgot they made the purchase. 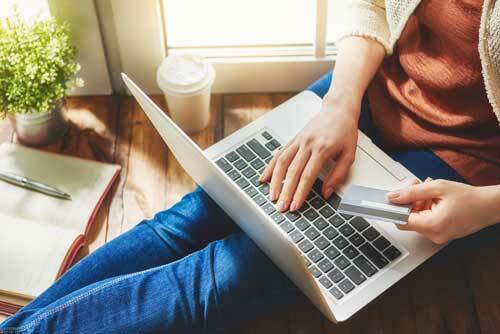 Ecommerce doesn’t have much of the friction of in-person shopping, but it’s also removed much of the friction for credit card fraud as well, enabling fraudsters to advantage of the limited identification mechanisms available for online purchases. Checking a customer’s photo ID against they’re actual appearance just isn’t possible over the Internet. Similarly, customers who abuse chargebacks (i.e. the “friendly fraud” mentioned earlier) exploit the gap often present between online transactions and real-world paper documentation (especially the kind necessary for merchants to win chargeback disputes) to get free goods and services. Aside from the direct losses of the chargeback amount itself and the cost of the goods and services, there are other costs merchants are hit with due to the problem of chargebacks, including the associated fees from payment processors/banks; the labor and hardware/software costs dedicated to fraud-related chargeback prevention, especially at times of high order volume (e.g. back-to-school and Black Friday); the costs of actually processing the paperwork for the chargeback, even if it’s resolved in the merchant’s favor. Due to chargeback fees merchants can face over $2.00 for every dollar of direct losses. It is no surprise then, that 3rd-party chargeback protection is appealing to so many businesses. Fraud detection teams, merchants, card issuers and payment processors do, however, have ways to limit the revenue-depleting direct and indirect losses from fraudulent chargebacks by preventing them in the first place. IP address sanity check: Does the IP address of the customer match the credit card billing country? If not, this could mean that someone’s trying to make a fraudulent transaction. Dodge the dodgy email addresses: Did the customer provide an email address that is less than two years old? Is it a free account from a provider which requires very little information for an account? Is the email provider legit? Does this email account appear in a social media profile or forum tied to the customer? Verify all the submitted info: Does the CVC2 or CVV2 number provided by the customer actually match the card? Does the shipping address match the credit card billing address? For US orders, you can use the Address Verification Service (AVS) to find out. Big Data to the rescue: Use your data of previous transactions. Has this same credit card been used on legit purchases from you before? Have you seen orders from this IP address before? If so, did those transactions later result in chargebacks? Has this customer ordered the same or similar products before? What commonalities can your analysts find among transactions that result in chargebacks? Use those patterns to update the rules you use for allowing or denying transactions. All of the above pieces of data can be stored, cross-referenced and mined for valuable insights which can save merchants a great deal of money. And while this data doesn’t conclusively prove that a potential transaction is fraudulent or legit, each piece can further narrow the uncertainty, enabling you to prevent those costly chargebacks.